Are you going to be the next? Next means literally next after almost One Million people, who has already pre-booked their Samsung Galaxy S8 and S8+ smartphone! Only mentioning the basic features, we can see a breakthrough in this phone that the regular trends are ongoing now on smartphones! This iconic Galaxy newborn is offering unbeatable 5.8-inch display at Galaxy S8 and 6.2-inch at Galaxy S8+. With this bezel-less viewing experience will enchant you without disturbances and performs multi-tasking more user-friendly. The Galaxy S8’s cutting edge technology enables comfortable one-handed operation, unlocking the new Gear VR with Controller powered by Oculus. Additionally, the corning® Gorilla® Glass 5 on both the front and back is going to deliver you the biggest screen in the smallest device possible. Talking about the grand powerful performance, the Galaxy S8 and S8+ feature the first 10nm processor, which is quite stunning! Galaxy S8 and S8+ is coming with advanced autofocus 8MP F1.7 Smart front camera, Dual Pixel F1.7, 12MP rear camera. So the phone may capture quality pictures in low-light, zoom, and anti-blur photos. No wonder, the list doesn’t end here! Want to view same vibrant tones and variations that the filmmakers produce on their movies? This mobile device is approved by the “UHD Alliance” as “MOBILE HDR PREMIUMTM”, and will let you have the same feeling while you will be viewing your beloved movie! A secure biometric authentication method has been improvised in this device i.e facial recognition, an iris scanner, and fingerprint scanner. Trending Samsung’s breakthrough water resistance technology, this phone also features with IP68 dust and water resistance. For your limitless entertainment, this phone contains up to 256GB MicroSD support! Moreover, the most demanding feature according to recent feedback from the customer, wireless charging capability with fast charging option is available in this phone regardless. Already Heard about Bixby? Yes, the new way to Interact with Your Samsung smartphone! Are you going to compare this feature with Apple’s Siri? Well, customers deserve the right! But, let’s get to know what’s Bixby! Is that going to be the Siri for Samsung! Bixby is a highly functional user interface that will help its users get more out of their smart device. 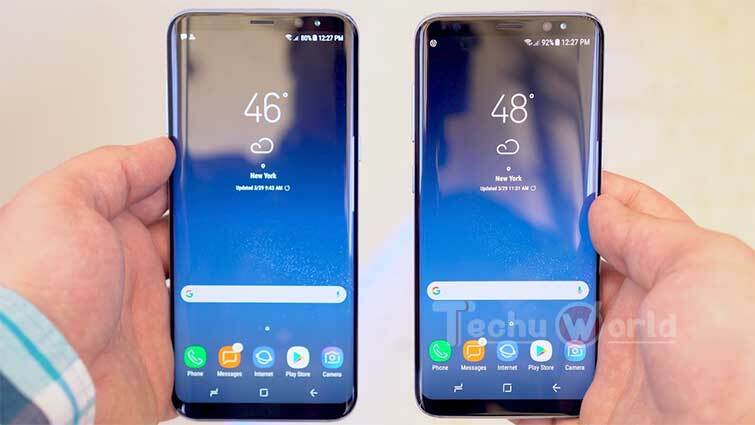 At the beginning, using the Bixby button, many of Samsung’s native apps, Settings, and features including Camera, Contacts, Gallery, Messages can be accessible. Later on, users will also be able to navigate several third party apps, promised by the Samsung Company! With the immersive features & facilities, Samsung authority looks promising as we can see from the statement of their President: “The Galaxy S8 and S8+ are our evidence to recovering your credence by redefining what’s potential in protection and indicates a unique breakthrough in Samsung’s Galaxy series.”- DJ KOH, President of Mobile Communication Business, Samsung Electronics. So, are you convinced? Want to know the price? Don’t get confused, we all are really looking forward to this kind of technologies for simplifying our life. Now, let’s look at the price! Varying in different currencies, the price would be between £40-£45 on contract, £689 SIM-free. On US carrier $30 to $31.25, $724.99 SIM-free. Pre-ordering will help you to get priority access and gifts, most importantly, you will receive your phone earlier than many of the dealers in fact! I think to buy it.